Hi, welcome to Modest Jerusalem. This blog, based in Jerusalem, Israel, is my journey of self discovery and reflection through motherhood, religion, language, culture, sustainable lifestyle and life’s daily struggles and inspirations. 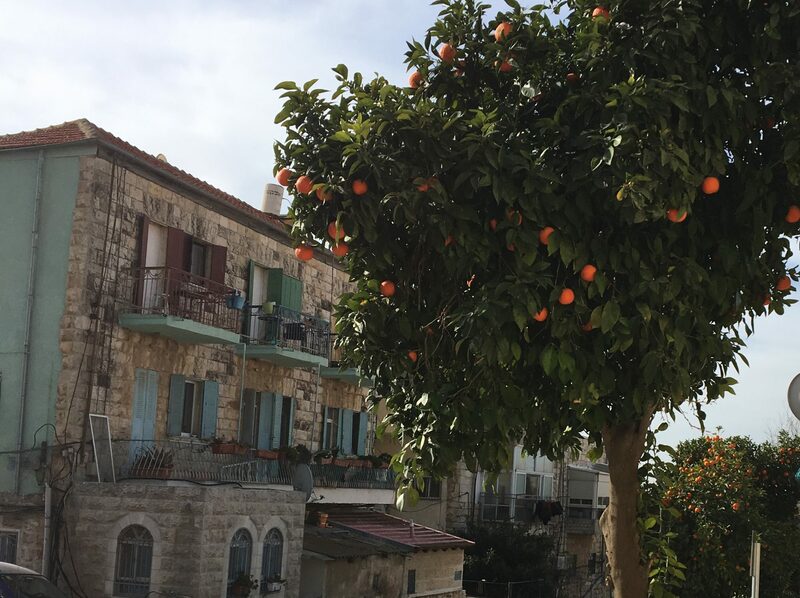 I want this blog to be a resource for anything from where to find prenatal yoga, recycle, and how to make the smoothest hummus, for those who already live here in Jerusalem, or others from abroad interested in what life is like in this special and complex city. This is my second blog. I started cafeavra.org in June 2010 while volunteering and living in East Africa (Kenya and Uganda) and focusing mostly on human rights and refugee issues in the region. It followed me through my aliyah to Israel in early 2011, and Cafe Avra Productions exists today as a small video editing company based in Jerusalem, which mainly works with non-profits. Let’s say this is my “day-job” and one I feel really blessed to do. My wedding in August 2012, outside Jerusalem’s Old City walls. My boys, Ovadia and Natan. All of this, of course, in context with the daily, immense complexity that it is to live in such a city as Jerusalem. However, it should be noted that my inspirations and compassion towards certain issues are not just local, but truly international. They resonate from my past travels and studies, through many of the wonderful blogs I read daily, the Instagram accounts I follow, the non-profit organizations and causes I support, the environmental issues that concern me, and various other sources, friendships, and personal encounters. And why call the blog “Modest Jerusalem”? I also want to explore in this blog the concept of “modesty” in the society and place I currently live. As modern-Orthodox Jewish woman living in Jerusalem, the word “Modest” tends to be overly used (and abused) in terms of dress and external appearances and not something on a deeper level. Isn’t it modest to be frugal and conscious of how much you consume? To recycle? To reuse and fix things? To dress simply, but also beautifully? To appreciate and accept other cultures, while staying true to one’s own? Isn’t being polite, being modest? Please do post comments and share with me your feedback. Happy to see what you are posting on Instagram, so please be in touch there as well. Can’t wait to follow along and hopefully visit you guys sooner rather then later.